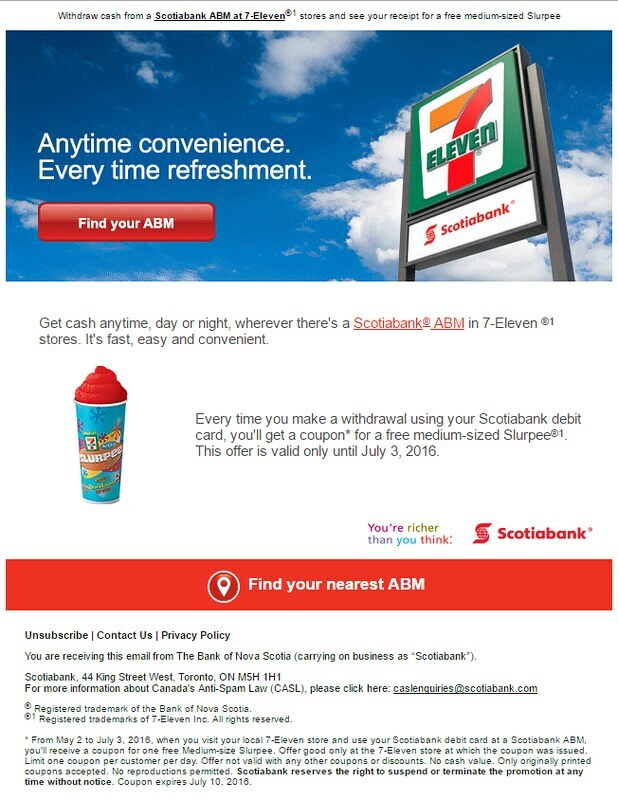 Get cash anytime, day or night, wherever there's a Scotiabank® ABM in 7-Eleven ®1 stores. It's fast, easy and convenient.Every time you make a withdrawal using your Scotiabank debit card, you'll get a coupon* for a free medium-sized Slurpee®1. This offer is valid only until July 3, 2016.